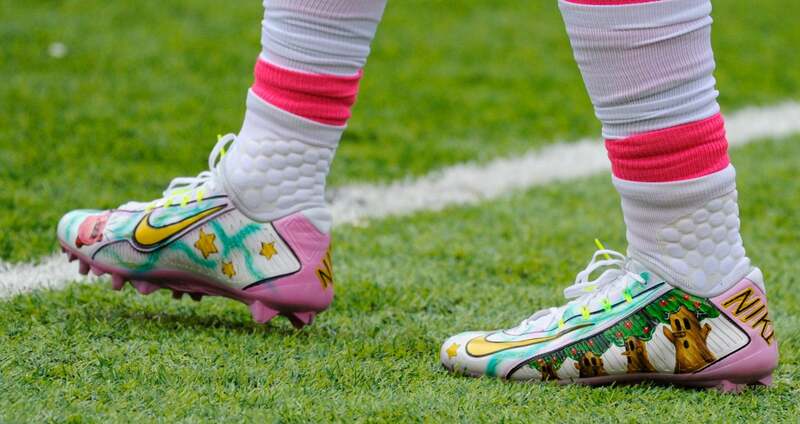 Giants receiver Odell Beckham Jr. was wearing these Nintendo-themed cleats for today's game against the Ravens. Beckham — who had himself a game — worked with Kickasso, a custom sneaker artist, to come up with the special one-of-a-kind footwear. Sole Collector say he chose Kirby because of his colour, so as to coincide with the NFL's annual breast cancer awareness month in October. Good intentions, then, even if the NFL's Pinktober is a total sham.